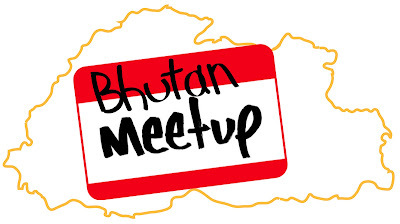 Next Saturday afternoon from 2 to 4, Business Bhutan and myself will be hosting Bhutan's very first social media meet-up! The location is Cafe Pelri on the ground floor of Phuntsho Pelri Hotel in Thimphu. The cafe has free, reliable Wifi, ample seating plus coffee, tea and snacks. The point of the event is to meet and get to know all those people we follow on Twitter and via their blogs. It should be a fun event and the first of its kind in Bhutan. Don't be shy and spread the word! Thanks for your msge on my Blog to which I have responded. It would have been such a great opportunity to meet up with you and other bloggers (I am not on facebook and I do not tweet). Unfortunately, during that time I will be in Jamnagar, Gujarat, India attending a global bird watching conference where I have been invited as a guest by the Gujarat Tourism Corpn. and will be back only on the 1st December, 2010. For some reason if the meet is postponed, please let me know - so that I am able to attend it. Hello, my friend of Happy Ending Offer and I of Flaming Thunderbolt would like to come to the meetup - but what time exactly is it? My number is 1754-7962.